Rich in contradictions, Vandalia boasts both the end of the famed Cumberland Road and the start of Abraham Lincoln’s storied political career. History, adventure and leisure intertwine in the area’s outdoor playgrounds, rich downtown district and recreation-filled corners. Explore Vandalia, and take a step in the right direction. What can the outdoor enthusiast enjoy in Vandalia? From 60 acres of parks to boating and fishing on Vandalia Lake to links quality golf courses and duck hunting at Keck’s March, fresh air fun lives well in Vandalia. What entertainment does Vandalia offer? Rich political history, a historic downtown, plus art galleries, skydiving, bowling and more present boundless opportunities for a weekend getaway or a night on the town. I’m interested in history. What can I see in Vandalia? 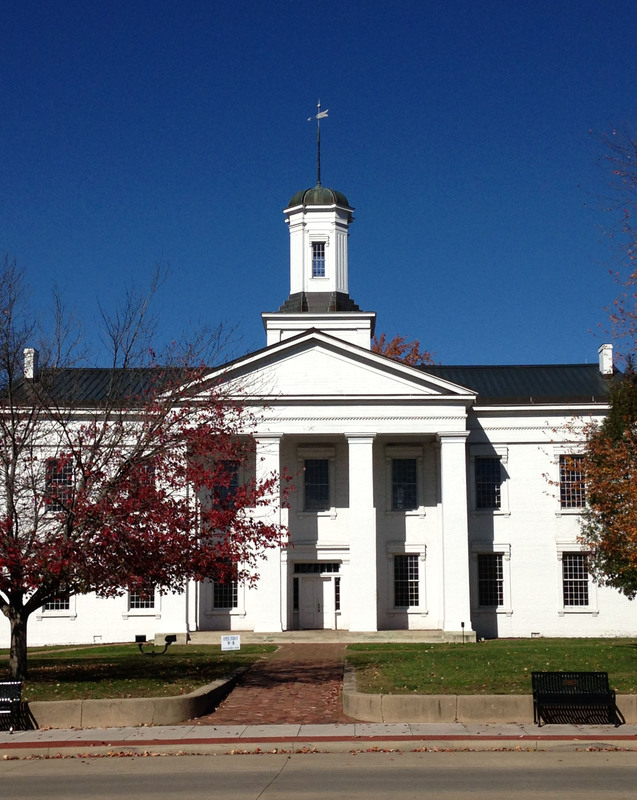 The Vandalia Statehouse is the third Capitol building in Vandalia and oldest existing Capitol building in the State of Illinois. For 20 years - 1819 to 1839 - our community served as the Capitol of the State of Illinois. Here Abraham Lincoln, perhaps one of the best-loved and most-recognized political figures our nation has ever produced, started his political career as a state representative, delivering his first speeches against slavery and debating Stephen A. Douglas. Other attractions include: The Fayette County Museum and Garden and the Little Brick House. Vandalia also features the Madonna of the Trail statue, situated on the grounds of the Statehouse and dedicated as a tribute to the pioneer women who traveled the Cumberland Road. 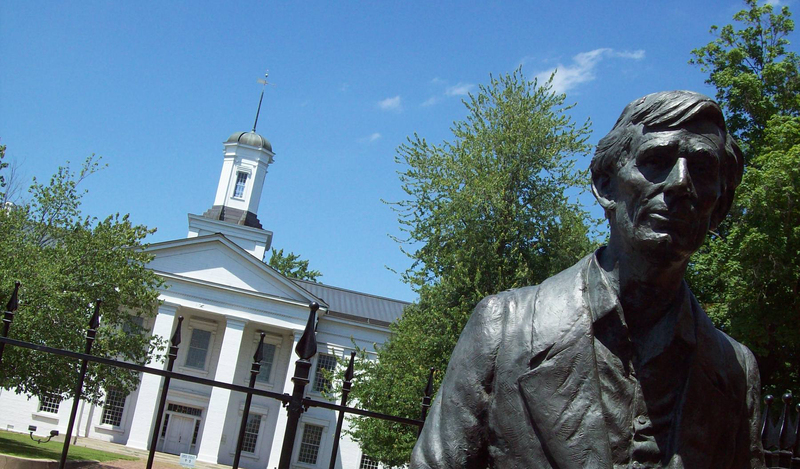 The Vandalia Main Street Program's Sitting With Lincoln is a life sized, seated bronze Lincoln statue across the street from the Statehouse in Lincoln Park. For more information, contact the Chamber of Commerce at (618) 283-2728 or Economic Development and Tourism at (618) 283-1152. Take a moment to explore our new virtual tour of Vandalia Illinois! This tool is also available for your smartphone. Just download MapNTour in the App Store on your phone or tablet!